Blue Air is a low cost airlines of Romania with its base in Bucharest, Romania. With its hub at Aurel Vlaicu International Airport, Blue Air provides scheduled air flight services to several destinations of Europe. It also covers regional airports of Romania including Arad, Bacau and Sibiu. Book Blue Air flight ticket reservations online here. It is easy to get cheap flight tickets for Blue Air online now. 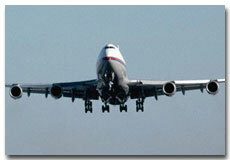 Blue Air was founded in 2004 and started flight services in 2005. It also started providing domestic air flight services to Cluj Napoca International Airport from Bucharest in 2006. Recently in 2009, Blue Air also added London (Luton) United Kingdom, Thessaloniki in Greece, Naples in Italy, and Paphos in Cyprus and into its destination list. S.C. Blue Air Transport Aerian S.A.